No matter how many times or how often I come here, no matter what I order, I have never been disappointed. Garden Café is probably one of the very few restaurants that are consistently dependable in both the taste and the quality of food. Though the outside of the restaurant, especially the front entrance area, looks a bit scruffy and not the most inviting, the inside is bright, cheerful and usually bustling with customers. Lunch time can be quite packed. 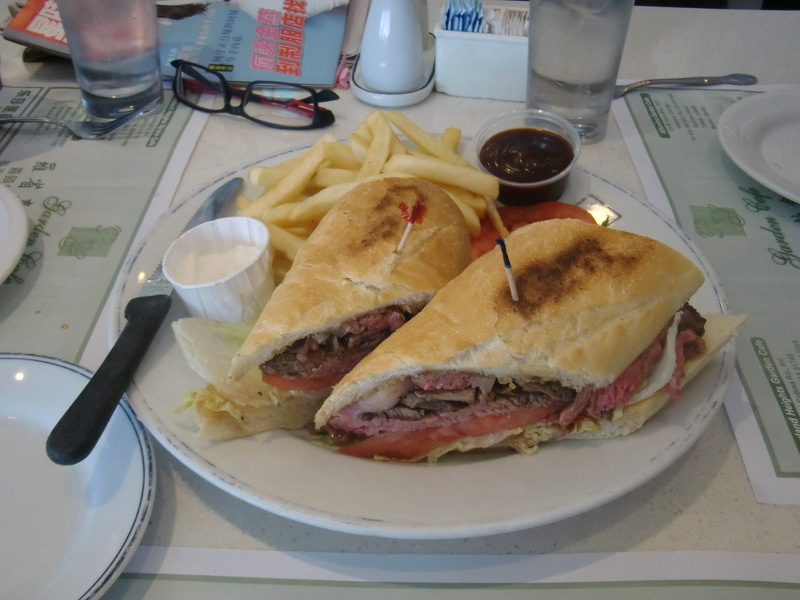 The best deal in town has got to be the Roasted Angus Beef with BBQ Sauce Baguette, which comes with a hefty amount of mouth-watering, juicy prime rib on french bread, and includes french fries, all for less than 7 dollars! Another favorite here is the Seafood Linguine with Tomato Basil Sauce. A generous portion of noodles with a wonderful mix of scallops, fish, shrimp, mussels, squid, in a delectable tangy, savory sauce. The Braised Ox Tongue with Tomato Sauce is divine, with at least four to five pieces of the moist, luscious meat served with your choice of either rice or pasta. The excellence of this dish is hard too find elsewhere. This type of Hong Kong style café is great because one can order the traditional Chinese dishes such as Chow Fun, Rice Porridge, Stir Fry dishes, as well as the western style offerings such as Grilled Pork Chop, Grilled Steak and Salmon, Oxtail, Ox Tongue with Wine Sauce, not to mention the varieties of Curries, Japanese Ramen, and many others. The menu is extensive with hundreds of choices. 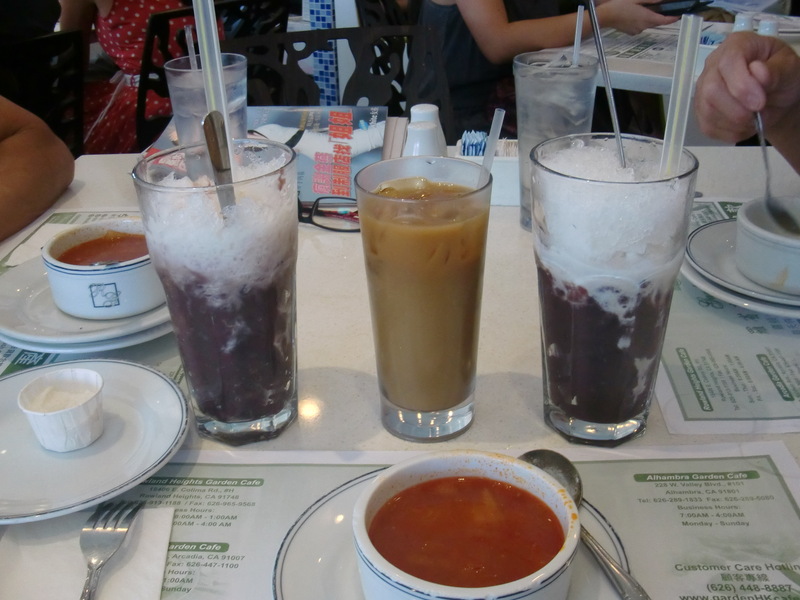 The Red Bean Ice here is large, tasty and thick, and only $1.50 when ordering with Lunch Specials. What is a Hong Kong style café without a good HK style milk tea, a concoction made with black tea and either evaporated or condensed milk. The one here is smooth and strong, and half a cup would be enough to keep me up all night. And if one is ever up late (or early) and hungry, the restaurant is opened from 7am to 4am, with breakfast specials.